We're about to get rolling for the year and would love to have anyone and everyone join in! Here's the first week's calendar, filled with plenty of opportunities for you to get involved. TOMORROW, 12-1pm: We will be tabling at the NSOP fair from 12-1pm in the J.D. Satow room, 5th Floor Lerner. Come at 11:45am if you’d like to help set up. MONDAY, 1-3pm: Garden work party! The garden needs some help. Due to recent incidents, some plants need to be taking out and lots of space needs to be replanted with fall crops, plus plants need to be thinned. Come by anytime between 1 and 3pm to get your hands dirty before classes start. Bring freshmen! WEDNESDAY, 9-10pm: We will have our first meeting Wednesday at 9pm in the lower piano lounge, next to the party space on the 1st floor of Lerner. Meetings will be held at 9pm on Wednesdays throughout the year but will change location once we can reserve a room. In this meeting we will plan for our official first meeting on the 10th (depending on the timing of a Green Umbrella club event). Come learn how you can help recruit members and plan for the year’s activities. FRIDAY, 12-4pm: The activities fair is actually FRIDAY the 5th instead of the 9th, so come out to College Walk between 12 and 4pm to visit CUFSP amongst all the tables at the Activities Fair. Email me if you’d like to help table for this event and recruit, recruit, recruit. I hope to see you this week so we can get the ball rolling! Telecommute From Any College Campus in the US or Canada! We are seeking college interns/externs throughout the United States and Canada who are interested in food issues and would like to increase their research and marketing skills by helping expand the Eat Well Guide, a free online directory of sustainable food sources. While most experiences will revolve around updating and promoting the Guide, this is an incredible opportunity for interns with a passion for food and health to learn more about the industry. Eat Well Guide interns will work from our New York City office, and externs will telecommute from their home or campus to help bring exposure to small farmers, retailers, and chefs who are committed to providing local, sustainable food products. 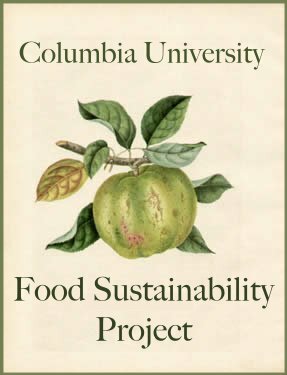 In the process, interns/externs will gain an exceptional view into the rapidly increasing sustainable food movement; and through their research, they will interact with some fascinating people across the United States and Canada. Interested students should be organized, detail oriented, conversant in writing and on the telephone, and enjoy working independently as well as with other like-minded people. Upcoming projects for the Eat Well Guide team include the launch and promotion of an online travel tool, enabling users to find good food on the road through an interactive map on the website. We are also working on promotion of the Eat Well Guide through the use of innovative new media outlets. Other qualifications: College/graduate students who can commit to a minimum of 10 hours/week either during the semester or summer. Opportunities are also available for shorter intern programs during school breaks. Hours are flexible, but regularity is important. We offer a small stipend for local travel and lunch on days in which you work 4 hours or more. How to Apply: Please email a cover letter, writing sample, and resume to erin@eatwellguide.org or fax to (212) 726-9160. In either case, please note “Eat Well Guide Internship/Externship”.